The inspiration for this recipe comes directly from Chin Chin restaurant in Melbourne. If you have ever eaten there and ordered these gems from the menu, then you will know they are to die for. Enough said! Combine corn, flour, polenta, sour cream, milk, eggs, sugar, onion and KNORR Concentrated Liquid Stock. Whisk to a thick batter consistency. Drop spoonful into deep fryer and cook at 180 degree Celsius until golden brown. Drain. 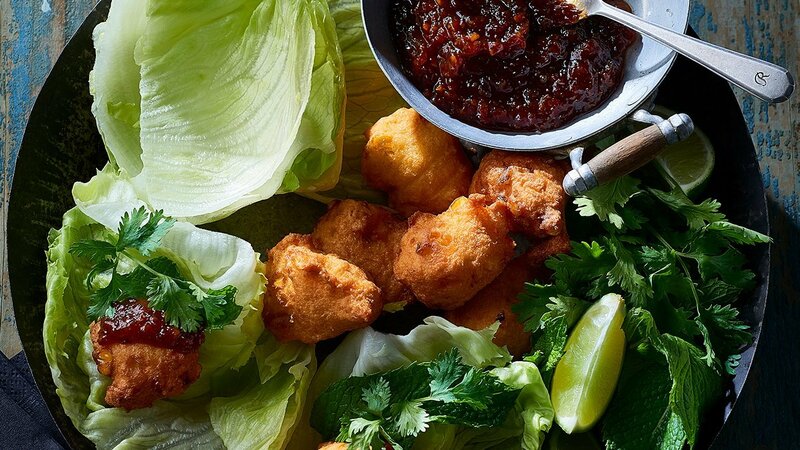 Serve fritters in lettuce cups with KNORR Thai Sweet Chilli Jam, coriander and mint.